In this post we are going to reveal something that will pretty much blow your mind. Normally, when you play PUBG Mobile global version, you play it with a third person perspective. However, the Chinese version of PUBG Mobile, allows you to toggle between first person perspective (FPP) and third person perspective. The same feature, as reported by the users, was missing, even in the Beta release of the global version. In this post, we are going to share with you the procedure to access the same feature as it is not, actually, missing but is hidden in the game. 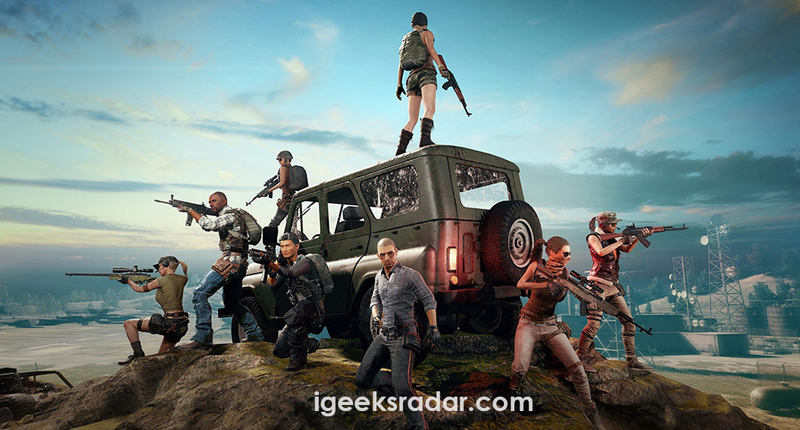 Also check: How To Fix PUBG Mobile Crashing on iOS Devices [iPhone/iPad]. First, you need to connect a Bluetooth keyboard to your mobile in which you are playing PUBG Mobile. Don’t worry, it won’t be considered as cheating as only the movement keys (W,A,D,Z) work on PUBG Mobile if you connect a Bluetooth keyboard to your mobile. If you don’t have a Bluetooth keyboard you don’t really need to buy expensive ones as cheap models will also do the trick. Post establishing a connection between a Bluetooth keyboard and your mobile, please launch PUBG Mobile global version. Once the game play starts, all you need to do it to hit the key ‘V’ from your Bluetooth keyboard and, amazingly, you will find yourself going to the first person perspective (FPP) in the game. If you press the key ‘V‘ once more you will toggle back to the third person perspective from FPP in the game. That’s it! This is the only step to toggle between third person perspective and first person perspective (FPP) in PUBG Mobile global version. You can apply this trick to any other similar game and hopefully it will work. But, for now you can, undoubtedly, apply the same to PUBG Mobile global version and enjoy the game in first person perspective (FPP). This is ideal for people who want to practice playing in FPP as compared to third person perspective, a majority of the gamers, find it difficult to play in FPP. If you have got any questions to ask or doubts in your mind please use the comments section provided below for the same. PUBG Mobile Hack for iPhone Without Jailbreak[No Gun ReCoil Mechanism]. Why not work keyboard in new version? ?